The HP-01 was a marvel of miniaturization and intelligent design. 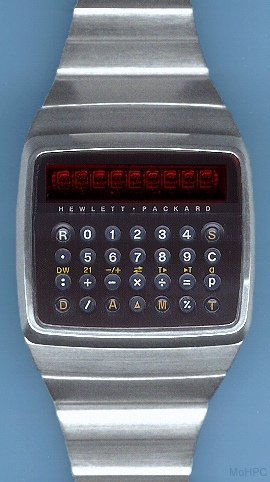 It was HP's first watch and their first small algebraic calculator but it was more than just a wristwatch and a calculator in the same package. It combined them to do things that neither could do alone. Its user interface combined the best of both worlds. For example, to change time zones, the user displayed the time, added or subtracted the appropriate amount and stored the result. "Time: elusive and immediate...limited yet infinite. 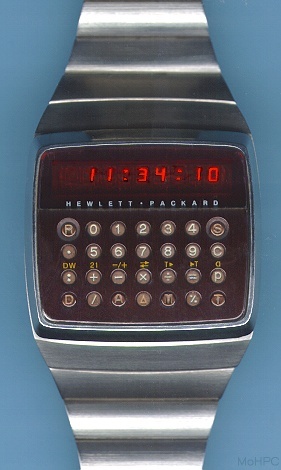 Because time is important to you, Hewlett-Packard introduces the HP-01, a new dimension in time management and personal computation. It's a digital electronic wristwatch, a personal calculator, an alarm clock, a stopwatch, a timer, a 200 year calendar...and yet it is more than all of these. The HP-01 is a unique, interactive combination of time and computation functions that offers unmatched capability and versatility. You can do anything from viewing the time to dynamically calculating to cost of a long distance phone call or, if a pilot, finding the distance to your next checkpoint. For years, Hewlett-Packard atomic clocks have been used by international observatories and authorities to set time standards with accuracy to within 1 second in 3000 years. Currently, millions of HP pocket calculators are in use throughout the world. The same company with this proven and respected clock and calculator expertise stands behind your HP-01. Hewlett-Packard congratulates you on the acquisition of this fine instrument. We hope you will wear and use it with the same pride that its creators at HP take in this remarkable technical achievement." The watch face had 28 tiny keys. Four of these were raised for easy finger access. The raised keys were D (date), A (alarm), M (memory), and T (time). Each of these keys recalled the appropriate information when pressed alone, or, when pressed after the shift key, stored the information. 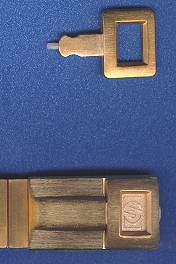 Two more keys were recessed in a way that they wouldn't accidentally be pressed but could still be operated by finger. These were the R (read/recall/reset depending on mode) and S (stopwatch) keys. The other keys were meant to be pressed with one of two styluses that come with the watch. One of these was a small unit that snapped into the clasp of the bracelet. A pen was also included which had a retractable ballpoint in one end and a retractable stylus in the other. The bracelet was smooth and solid. The links were of solid machined stainless steel and were as smooth on the inside as they were on the outside. (No folded sheet metal as found on inexpensive metal bracelets.) There were no obvious pins or screws holding them together. The clasp had a quick release feature that made it easy to lay the bracelet flat while changing batteries. To set the time, the user keyed HH:MM:SS, pressed the p (pm) key if needed and then pressed (shift) T. (store time). To set the date, the user keyed MM/DD/YY (or DD/MM/YY depending on the chosen date format), pressed the 21 (21st century) key if the year was greater than 1999 and pressed (shift) D. The date only needed to be entered once. A 200 year calendar accounted for leap years automatically. Most calculators past and present have one data type - the floating point number. The HP-01 understood multiple data types. Floating Point Numbers. Like all HP calculators before it the HP-01 recognized floating point math. The numeric range was +/-9.999999E+/-99. There was no way to enter a number in scientific notation but the calculator displayed in this manner when numbers became too large or small for a fixed point display. Time Interval Data. The keyboard had a colon (":") key and any number entered with a ":" was interpreted as a time in either HHHHH:MM, HH:MM:SS, or MM:SS.CC (CC = hundredths of a second.). Date Data. 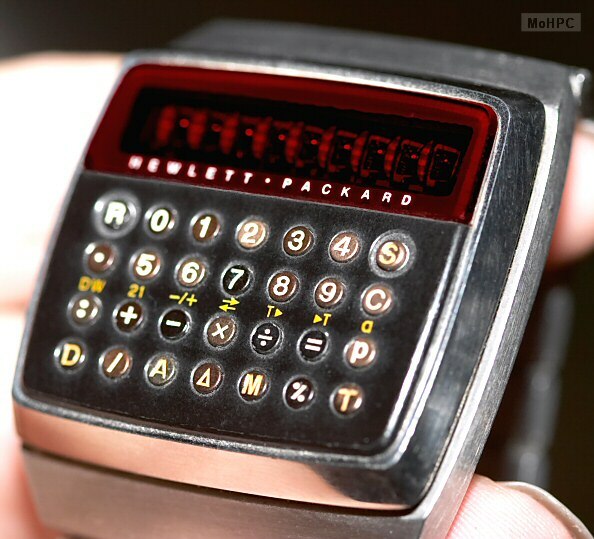 When the slash ("/") key was pressed, the HP-01 recognized the information as a date in either MM/DD/YY or DD/MM/YY format. (The date format was user selectable.) There were only two digits in the year, but a 21st century key was included to indicate later dates. Such dates were displayed with a trailing dot. 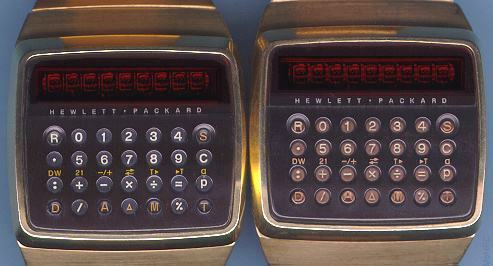 The calculator registers and the memory register could contain data in any of the formats. To add two and a half hours to the current time, the user could enter either T + 2.5 = or T + 2:30 =. The calculator recognized either format and did the right thing. After a calculation, the user might want to see the time in the other format so keys for converting to decimal or hours:minutes:seconds time formats were included. These functions existed merely for user convenience and were never required to perform math operations. Determining the number of days between dates was as simple as pressing date1 - date2 =. For example to determine the number of number of days between the current date and 6/12/72, the user would press D (to recall today's date), - 6/12/72 =. The reverse was also possible. The user could add or subtract a number of days from any date to determine a date in the past of the future. For example, a date 55 days in the future could be determined by D + 55 =. A date 90 days before 4/16/84 could be determined by 4/16/84 - 90 =. The calculator could also determine the day of the week and day of the year for any date. Activated by the S key, the timer (count down with alarm) stopwatch (count up) function displayed times to the hundredth of a second. When the stopwatch was displayed, pressing S toggled between running and stopped. Pressing R reset the time to zero. Changing to timer mode was as simple as storing a time in the stopwatch. 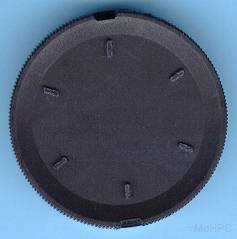 (For example 2:30.5 (shift) S to count down 2 minutes and 30.5 seconds.) The stopwatch function was continuously displayed by default but the display could be shut off to conserve power. The user could take two splits, storing one in the memory, and one on the display. 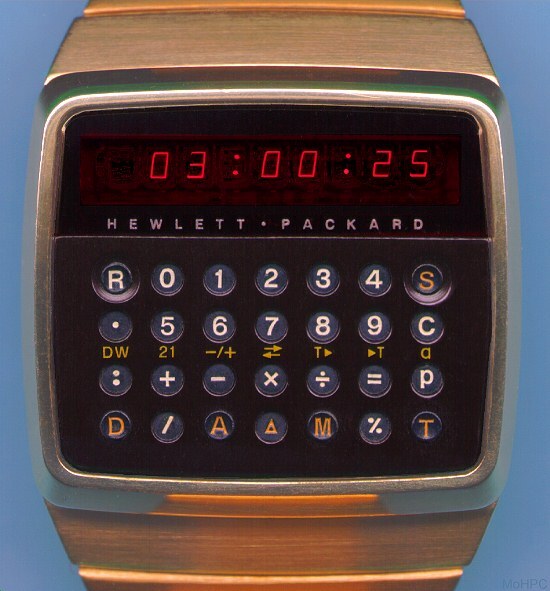 Another example of how the HP-01 integrated time and calculations was "dynamic calculating" in which the watch continuously updated a time-based calculation. (For example rather than having it display the amount of time spent on the phone, it could be set to continuously display the amount of money spent.) To set up a dynamic calculation, the user pressed S to start the stopwatch and then pressed the multiply or divide key, the hourly rate and "=". The display then showed the cost. The user could move back and forth using S for current time and = for current cost. The algebraic calculator also had a percent function, automatic constant, automatic doubling and squaring, a sign change function, clear, clear entry and an exchange key which swapped the two operands to the opposite sides of the operation. The HP-01 contained 6 (yes six!) chips which contained the equivalent of 38,000 transistors. Also packed into the case were three batteries. Two powered the display and one the watch circuit. 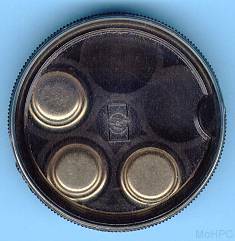 The former's life span was dependent on how much the display was used and these batteries could be changed independently of the circuit battery (which maintained the correct time and all other registers during the change.) The batteries could be changed by the dealer (usually a jeweler) or by the user using a tool and instructions HP included with a set of batteries. The HP-01 was adjusted to be accurate within 30 seconds a year when it left the factory and could be recalibrated if age or extreme shock altered its accuracy. This was rather unusual at the time. Early digital watches were in such high demand that many companies skipped the time consuming calibration as a way of keeping up with demand. Many digital watches of the time ran at nowhere near the accuracy of which they were capable. "Anti-magnetic: The HP-01 will operate in a magnetic field up to 60 gauss without adverse effect. Shock Resistance: The HP-01 has been designed and tested to withstand shocks beyond those encountered in normal use with only minor changes in accuracy. Excessive or cumulative shocks may be cause for recalibration. Water Protection: Although the HP-01 is not intended for underwater use, it has been designed and tested to withstand immersion in water at 10 meters (32.8 feet) for 5 minutes at 25 degrees C provided the HP-01 case and window are intact." 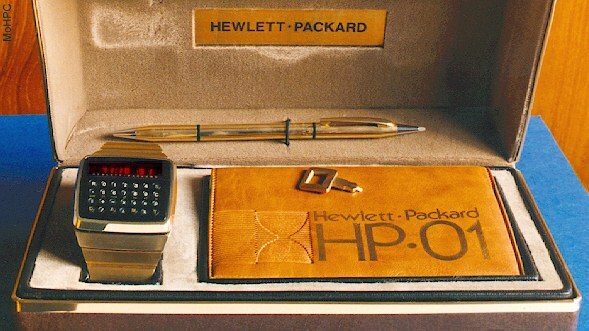 Gold HP-01 (~66K) in case with manual, stylus pen and bracelet stylus. Late & early Gold HP-01s (~27K) The late model on the left has black keys. Battery replacement pack. (~12K) Contains batteries & washer to seal the watch. Battery replacement pack back. (~6K) Serves as the tool to open the watch. "HP01.5" Prototype (~50K) Early prototype for a next-generation 01. All keys were raised in this version. HP-02 prototype circuit. (~9K) Tiny image of a prototype circuit board for the HP-02. Price: $750 in 14K gold filled case with gold plate over stainless steel bracelet. $650 in all stainless steel. LED digital watches were a "flash in the pan". They appeared suddenly with prices as high as $1595 and then disappeared almost overnight when LCDs came along. Of course, LCD watches also faded as analog became fashionable again. The curator still feels that an LED watch display is a beautiful sight even if one does have to keep pushing a button to see it.